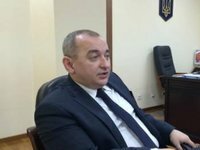 Chief Military Prosecutor of Ukraine Anatoliy Matios has said fire alarms were out of order at the ammunition depots near Kalynivka, Vinnytsia region, and half of technical security means was missing. "Among the faults established by investigators were non-working fire alarms and only half of the required security technical means," Matios said at a briefing in Odesa on Thursday. He also noted that there is a problem with military security guards, whose wages are extremely low so mostly elderly people work there. According to Matios, at the time of the emergency, the arsenal was guarded only by a few anti-aircraft posts and 17 members of the militarized guard.